These plants are totally aquatic, requiring intense light and a fairly rich soil. They are sensitive to any deficiency in iron. The water must be slightly alkaline and moderately hard. 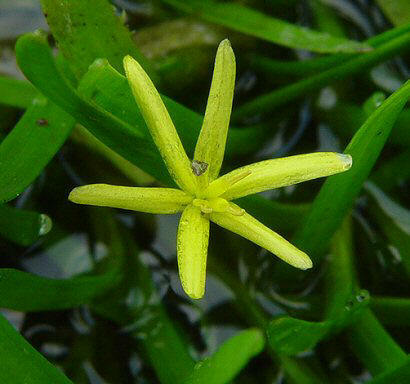 The yellow-flowered heteranthera can be reproduced with cuttings, a process that is facilitated by adventitious roots on the stem. The stem is quite fine and can float on the surface of the water. Size: 40 cm. The stargrass can live totally submerged. It multiplies through cuttings of the side shoots; it can also grow as a creeper. Size: 30 cm.